Unfortunately, most of the 1.5 million nonprofits in the U.S. live a hard life and struggle just to keep their doors open. Often, staff suffer from low pay, high stress, and burnout; technology is underutilized; and board members and other volunteers are disengaged, misaligned, and besieged with emails from fundraising staff to “please fill your table at the auction!” Even for larger organizations, programs are often under-resourced, pay isn’t competitive, and fundraising is onerous, expensive, and unpredictable. Following the pathway described here, if the board can pull together as a team and take these steps, dramatic improvements in organizational performance and impact can occur in as few as 12 to 18 months. Change your own mind and behaviors. Identify the one thing you do better, faster, or cheaper than anyone else. Set a BHAG — a Big, Hairy, Audacious Goal. Articulate a credible strategy for accomplishing your BHAG. 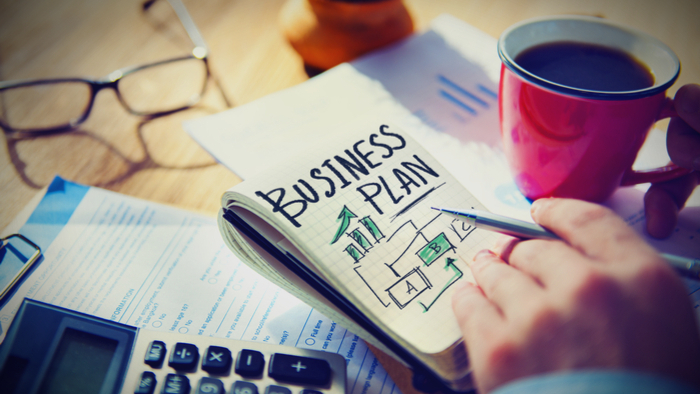 Task the chief executive with developing an actionable business plan. Craft a detailed financial projection going out at least three years. Develop a good organizational chart. Brag about your board members. Boil it down to a very short document and presentation. The good news for board members is that you “only” need to oversee this process and provide substantive, supportive feedback. It’s the executive team’s job to figure out the specifics, and its your job to give them the support and resources to climb all these mountains. How does this land with you? Are you excited by the challenge and eager to explore how this difficult-but-necessary work can dramatically increase the amount of good your organization is able to deliver to the world? Or does it all seem impossible? Because in the final analysis, whether you think you can or think you can’t, you are probably right. If you are looking for more articles and resources for Nonprofit Sector, take a look at these Giving Compass selections related to impact giving and Nonprofit Sector. Giving Compass' Take: • Beth Kanter explores the concept of "fire drill culture" in nonprofits, and how always being in crisis mode can drag everyone down. • As Kanter writes, it's imperative that you and your colleagues practice self care, while integrating more "look ahead rituals" to anticipate any challenges in the future. • Here are some effective ways to fix dysfunction in nonprofit governance and bridge the talent gap. Crisis mode happens for a variety of reasons. First, there are social service agencies that work with people in crisis and it becomes part of the workplace culture. Also, staff exposed indirectly to trauma through hearing about the difficult experiences of the people they serve or “secondary trauma” can lead to burnout or “compassion fatigue.” People who work in this environment often feel they can’t take time off or practice self-care because if they do their client will suffer. But, in this type of work, it is critical to incorporate self-care in order to sustain oneself and to serve clients better. One technique is to weave self-care into your workday. Rather than having self-care be something “outside” of work, it can be integrated naturally into the course of the workday. Self care is highly customized to the person, but the trick is to think of it more broadly than physical health and incorporate micro moments of self-care or #boringselfcare. Maybe its going outside for a ten minute walk or closing your eyes for a few minutes to meditate. Crisis mode also happens when there is a lack of planning and prioritizing and everything is important! As projects get more complex or your organization is trying to accomplish more with less resources, it gets harder to accomplish without more intentional planning. Look ahead rituals can even be as simple as encouraging staff to take 20-30 minutes on Mondays to look at their week and different deadlines. Also, it is important to having ongoing communication when priorities shift and be able to ask and answer the question, “What is the most important deliverable on this list of ten things that we need to do today?” Read the full article about fire drill culture in nonprofits at Beth Kanter's Blog.